Comey was speaking to agents at the FBI’s field office in Los Angeles when the news of his firing flashed on TV screens, according to a law enforcement official who was there. 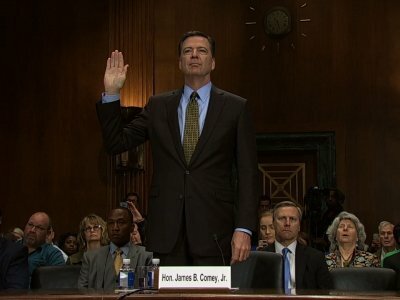 Comey initially chuckled, then finished his speech, said the official who spoke to The Associated Press on condition of anonymity because the official wasn’t authorized to discuss the situation publicly. The Democrats expressed deep skepticism about the stated reasons for Tuesday’s firing, raising the prospect of a White House effort to stymie the investigations by the FBI and congressional panels.